Kubernetes knowledge is required to actually deploy Spring Boot Admin and a sample microservice to Kubernetes. Note that, this blog will not lead the reader step by step on how it’s done exactly, but provides background information and important settings to make it happen. 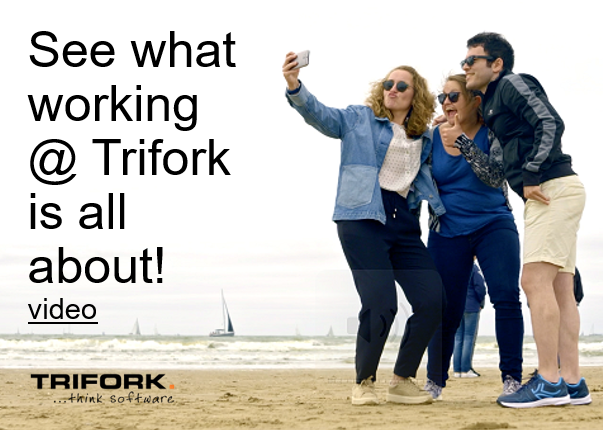 Here at Trifork we love Spring Boot. We use the framework for microservices, and deploy the services on i.e. Kubernetes (K8s). For a client, in a recent project, we have been building a system which is fully deployed on K8s with various Spring Boot services. The spring boot services, are easily managed with Spring Boot Admin (SBA) , from the good folks at codecentric. SBA is convenient to manage a Spring Boot Application, it reads the actuator endpoints to visualize de state of a Spring Boot Application as well as managing the state or configuration. In K8s, pods come and go. The SBA journal tells you when a pod is registered, when they are online, when they are offline including many notification possibilities like browser, email and chat. Microservices are deployed on an as-needed basis. However, the release of a specific microservice, should refer to a Git commit hash. In our case, we use a reference to the CI/CD build, which in its turn points to the Git commit hash. * On top the K8s instance ID, below at info the CI/CD build reference. Imagine you are in a situation where additional log details are required for a certain package. Simply enter the package name, and your logs will spit the corresponding log entries. This feature is super cool, we want to see which flyway DB migrations have been running, just check the ‘Flyway’ tab. Further on, in this blog we will show how SBA can be configured to discover the Spring Boot microservices deployed on Kubernetes. In our case SBA is just another Spring Boot microservice, which gets deployed alongside the ‘regular’ application services. It requires a Spring Boot Application class, some dependencies and configuration. Let’s start with the dependencies in gradle format. We need the spring boot starter obviously and as Spring Boot Admin, is working with Spring Boot Actuator, we will need that as well. The Jolokia dependency is required to interact with JMX through a Rest API. This is the Spring Cloud integration with K8s , Note that this library can do more than discovery like reading K8s config maps and secrets. That’s it, with a lot of magic, we get this application to do what we want, let’s go through the ‘Enable’ annotations. This is required, so SBA can discover services from a Spring Cloud Discovery implementation. As we have a dependency on Spring Cloud Kubernetes, we expect the microservices deployed as ‘service’ in K8s to be discovered. Now this one is interesting, and unfortunately not documented. In order for Spring Cloud k8s, to check the status of a service on regular basis, the implementation schedules a task to do so. Failing to provide this annotation, will cause the service status not to be updated in SBA. (Although the services running will be discovered, when SBA is launched. This requirement was only he found out, after going through the code, and noticing a @Scheduled annotation in the Spring Cloud K8s code. Some configuration is required, as Spring Boot Autoconfiguration doesn’t do exactly what is needed we feel. Manage actuator endpoints from context path /manage. (This is the context path configured on the managed Spring Boot Microservices. Ignore these services (Because they are not Spring Boot). Enable on Spring Cloud K8s discovery. By now the Spring Boot Application, running SBA, should have the basic Spring Boot structure, with an AdminApplication class, an application.yml in the resources folder and a build.gradle with required dependencies. Next, let’s take this baby for a spin. Now that we have a Spring Boot Admin Application, we are ready to run it. One of the requirements is that it needs to run in K8s or have permission to interact with a Kubernetes Cluster. The Spring Cloud K8s implementation will use the Fabric8 Kubernetes Client, this client by default, will request the current K8s context and try to connect to it. An easy way to test the application on a local machine is to run Docker with K8s locally, set that as the current K8s context and run the Spring Admin Application. In this way, deployed Spring Boot services* on the K8s cluster will be discovered and visible on Spring Boot Admin. * Deploying Spring Boot Services on the local K8s cluster, is beyond the goal of this blog. Please refer to some good resources [4,5] to deploy your Spring Boot Microservices to K8s. With Spring Boot Admin, we have a useful way to manage, deployed Spring Boot Applications. When these run on Kubernetes, we can leverage the Spring Cloud K8s project to discover deployed instances. That’s another cool technology you found, Christophe. I’ll definitely try it out. By the way, the references all seem to be google redirect URLs. Hi Rik, Thanks for the pointer on the URL’s, I will fix them! I was trying the so work with above mentioned example but I am facing errors after startup and they are not related to service account. Would it be possible for you to share github repo for this project. I am afraid we don’t have an example on github right now. What is the error you get?